Google continues to position its teams to maximize effectiveness of its products. Google+ is one that needs a bit of TLC, and in an effort to pump things up in the near term, Google+ and Photos are being separated into standalone entities with Google’s Photos and Streams products. As such, Google will leverage advances within its popular communications products (Gmail, Search, etc. ), Photos, and Google+ Stream as three distinct projects instead of one, part of a strategy that Sundar Pichai is executing since he heads many of Google’s products. Product Vice President, Bradley Horowitz is now running Google Photos and Streams. Horowitz takes the helm from David Besbris, Vice President of Engineering. 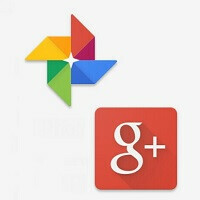 This move to make Photos a fiefdom of its own comes on the heels of Google acquiring Odysee, a photo sharing platform whose feature set will complement how Photos can stand as its own product, and also enhance pictures in Google+, or are we going to see a rebranding of Google’s social network as Google Streams? Google+, along with its excellent feature-cousin, Hangouts, have endured a lot of scrutiny. It is no secret that Google has not been able to drive the amount of traffic it wants to its social platform, despite efforts to tie it in with other highly active environments like YouTube. Hangouts has undergone criticism for other reasons, mostly concerns that it is trying to be too much, to too many, impeding its performance, particularly in mobile. Now maybe I will give it a chance but that is a humongous MAYBE - who will leave Quickpic for Google photos lol. Ive been asking for this since release! Finally. Google plus is so confusing especially being linked to Google photos. It was a mess that I avoid using. Forcing Photos into Google + was a mistake, it is good that they realize that. Hopefully this means we will get some of the photo editing features of Picasa in the mobile version of Photos. "Horowitz has been with Google since 2008, and has led product teams for Gmail, Google Voice, Google Talk, and Google Docs... " And the track record of those products in that time frame issss...?